Nor is it a surprise that the news has Trump antagonists clamoring for full disclosure of the special counsel's final report. Mind you, when skeptics of the Trump-Russia investigation asked what the criminal predicate for it was, and on what basis the Obama administration had decided to monitor the opposition party's presidential campaign, we were admonished about the wages of disclosure - the compromise of precious defense secrets, of deep-cover intelligence sources and methods. Why, to ask for such information was to be an insurrectionist seeking to destroy the FBI, the Justice Department, and the rule of law itself. Now, though, it's only the uncharged president of the United States at issue, so disclose away! Well, if we're going to have disclosure, fine. But let's have full disclosure: Mueller's report in addition to the FISA applications; the memoranda pertinent to the opening and continuation of the investigation; the testimony in secret hearings; the scope memorandum Deputy Attorney General Rod Rosenstein issued on August 2, 2017, after failing to cite a crime when he appointed Mueller - let's have all of it. As far as the special counsel's report goes, because of the way the regulations work (at least when the Justice Department deigns to follow them), we now have Mueller's bottom line, but not his reasoning and the underlying facts. It is the opposite of the Trump opposition's preferred Roger Stone and George Papadopoulos scenario, where Mueller's team spins pages and pages of "Gee, sure seems like a lot of almost-collusion here" before you flip to the end and find that there's no case - just a campaign hanger-on who lied to an investigator long after the imaginary espionage conspiracy occurred. At the moment, we just have Mueller's conclusion: There is no basis to indict the president for a crime - not collusion, not obstruction, not false statements. The collusion-peddlers, who took great umbrage at the suggestion that "VERIFIED" FISA surveillance-warrant applications should be disclosed, now demand Mueller's full report so they can get to the familiar work of obscuring the bottom line and spinning the spin. As we've noted before, unlike Mueller, who needs a crime to indict, Congress does not need a crime to impeach. The media-Democrat alliance does not need a crime to inflate Mueller's not-quite-so stories into treason. To keep this carnival rolling on for another year and a half, they just need fodder for the narrative - which is so predictably morphing from the collusion narrative to the impeachment narrative to the campaign narrative. Since before Robert Mueller was appointed, I have been contending that there was no legal basis for the appointment of a special counsel because there was no evidence that the president had committed a crime. For nearly a year and a half, I've maintained that Mueller had nothing close to an actionable "collusion" case, that he had no prosecutable obstruction case, and that this exercise was an impeachment investigation geared more toward rendering Trump unelectable in 2020 than toward actually removing him from office. This was not to dismiss Russia's provocations (which Democrats spent most of the Obama years ignoring, and - when it comes to hacking - which Obama himself spent the 2016 campaign mostly ignoring). It was always essential that the FBI use its counterintelligence authorities for their proper purpose - to monitor and undermine foreign powers. It still is. That is why, as we have repeatedly pointed out, "collusion" is a weasel word. "Collusion" is just association - concerted activity that could be benign, sinister, or somewhere in between. It is not a crime to have relationships, even troubling ones, with Russians. Fortunately for the Clinton campaign, it is not a crime to attempt to gather opposition research from foreign sources - even former British spies who purport to have Kremlin-connected sources. When Americans are involved, the only collusion that federal criminal and counterintelligence law trouble themselves over involves conspiracy (or its close cousin, aiding and abetting). There must be knowing complicity in a crime. If you don't have a good-faith basis to believe a crime has been committed, you don't have an investigation. Again, we were pointing that out before Mueller was appointed. In order to justify a special-counsel appointment, the regulations require two things: (1) the attorney general (or the deputy AG when, as here, the AG is recused) must be able to articulate the factual basis for a criminal investigation or prosecution; (2) that investigation or prosecution must create a conflict of interest so profound that the Justice Department cannot ethically conduct the investigation - a lawyer must be brought in from outside the government. It is the alleged crime that determines what is to be investigated and whether there is a conflict. Here, the issue was solely the president. The Justice Department and FBI did not need a special counsel to conduct a counterintelligence investigation of Russia, or a criminal investigation of, say, Michael Flynn or Paul Manafort. Indeed, such investigations were underway before Mueller's appointment. A special counsel would have been needed only for the president, on the rationale that the president cannot credibly be investigated by his own Justice Department. That is fine: The president is not above the law, and if there is evidence that he committed a crime, he should be investigated. But there has to be evidence that he committed a crime. There wasn't. Even in his shocking public announcement that the FBI was investigating the Trump campaign for possible "coordination" in Russia's election interference, former FBI director James Comey never actually accused the president of a crime. While privately assuring Trump that he was not a suspect, Comey publicly stated that the FBI was conducting a counterintelligence probe. You can believe, as I do, that this was a pretext for a criminal investigation that lacked a crime; but for present purposes, that's irrelevant. The point is: There was no crime. In May 2017, in the wake of Trump's firing of Comey (which acting FBI director Andrew McCabe wrongly concluded could be the basis for an obstruction investigation), Rosenstein appointed Mueller. But, again, no crime was cited (Rosenstein obviously knew better than McCabe). Perforce, there was no need for a special counsel. In the Justice Department, the FBI - not a prosecutor - conducts counterintelligence investigations. And there was palpably no conflict of interest requiring an outside lawyer. How could there be? There was no factual basis for a crime, and you can't know whether there is a conflict unless you know what the suspected crime is. Plus, Mueller recruited his staff from the Justice Department's top echelon, and later transferred cases he brought to Justice Department components; these actions would have been inappropriate if the Justice Department had actually been conflicted. There was no need for a special counsel. And there was no case - again, obviously. Mueller never charged any Trump associate with any kind of espionage conspiracy. As we've pointed out repeatedly, when prosecutors have a conspiracy case, they induce the cooperating accomplice witnesses to plead guilty to the conspiracy and implicate the other conspirators at the time of the plea. Mueller, instead, pled his putative accomplices to process crimes of lying to investigators, and to massive fraud crimes that had nothing to do with Trump or Russia. No competent prosecutor builds a case that way - and Mueller is an exceptionally competent prosecutor. 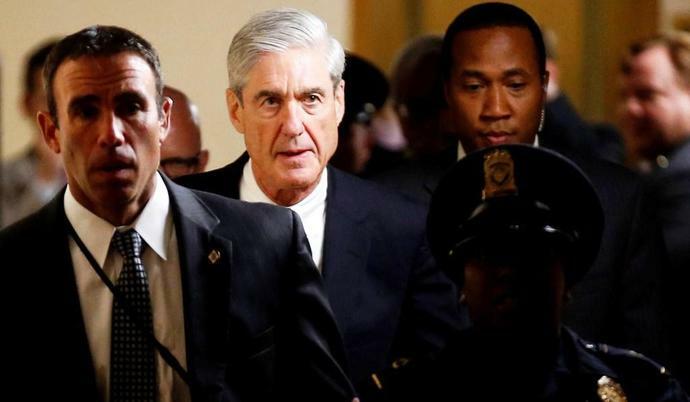 Moreover, wholly apart from Mueller's evidence-based decision not to accuse Trump associates of complicity in Russia's election interference, there are also Mueller's two indictments of Russian operatives - the hacking and troll-farm cases. These charges not only fail to suggest a conspiratorial link to the Trump campaign; they positively indicate that the Russian operatives neither needed nor wanted American partners. They wanted deniability. Their operations predated Trump's entry into the campaign, and some of them were anti-Trump in nature. Did Putin want Trump to win the election? Who knows? But there is no reason to think Putin (unlike any other informed observer) believed Trump would win the election. What Russia was aiming for is what Russia is always aiming for: to sow discord in American society and make it more difficult for the American government to pursue American interests. In any event, Mueller's Russia indictments, like his charges against Trump associates, appeared to preclude the possibility of a Trump-Kremlin conspiracy. If Mueller had suddenly found Trump guilty of "collusion," his prior prosecutions would have been incomprehensible. And, to reiterate another oft-made point, a federal prosecutor cannot properly charge an obstruction case against the president based on lawful exercises of the chief executive's constitutional prerogatives. To be sure, a president may be cited for obstruction based on acts that the Constitution does not endorse and that corruptly tamper with evidence or witnesses. But because prosecutorial power is executive in nature, a president - like a prosecutor - is permitted by the Constitution to take actions that negatively affect an investigation. A president is permitted to weigh in on the merits of an investigation; he may fire the investigators (including the FBI director); he may issue pardons. Clearly, these powers can be abused, and if they are, Congress may impeach the president. But it is not the place of a prosecutor, an inferior federal officer, to second-guess the chief executive's exercise of executive discretion just because the inferior officer suspects improper motivation. The president should suffer politically for inappropriately insinuating himself in law-enforcement activities; but it is not a crime for him to do so. Finally, unlike criminal investigations, which are conducted to vindicate the rule of law in judicial proceedings and which should be insulated from politics, counterintelligence investigations are done strictly for the president - to assist him in carrying out his national-security duties. If a president were to shut down a counterintelligence investigation - which Trump has never done in connection with Russia, even after the FBI director publicly portrayed Trump's campaign as a suspected collaborator - that could not be an obstruction crime, even if it were a reckless decision. It is the politically accountable president, not the administrative state, who determines the nation's intelligence needs. In sum, we have endured a two-year ordeal in which the president of the United States was forced to govern under a cloud of suspicion - suspicion of being a traitor, of scheming with a foreign adversary to steal an election. This happened because the Obama administration - which opened the probe of the Trump campaign, and which opted to use foreign counterintelligence spying powers rather than give Trump a defensive briefing about suspected Russian infiltration of his campaign - methodically forced its suspicions about Trump into the public domain. The intelligence assessment provided Obama's intelligence agencies with a pretext to brief President-elect Trump on the Steele dossier. That, in turn, gave the media - previously skittish about the dossier's sensational, unverified allegations - exactly the news hook they needed to publish it. Weeks later, as the FBI continued relying on the unverified Steele dossier in FISA-warrant applications, the FBI director, in public testimony, not only disclosed the existence of a classified counterintelligence investigation but gratuitously added that Trump's campaign was a subject of the probe and that an assessment would be made of whether any crimes were committed - signaling to the world that Trump was a suspect in what would be, if proved, one of the most heinous crimes in American history. Then, finally, more leaks to the media triggered the appointment of a special counsel in the absence of actual evidence that the president had committed a crime. If a victorious Democratic nominee had been subjected to such an investigation, there would never have been a special counsel, but we would already have chapter and verse on every investigative action. If we're going to have accountability, let's have complete accountability.